Home > Quality & Calibration > Calibration Tags & Stickers > Calibration Tags > Calibration, calibrated tag. Items per quantity: Pack of 10 tags. Not calibrated use for checking tag. Calibration, calibrated tag. Add variable data, and attach to instrument. 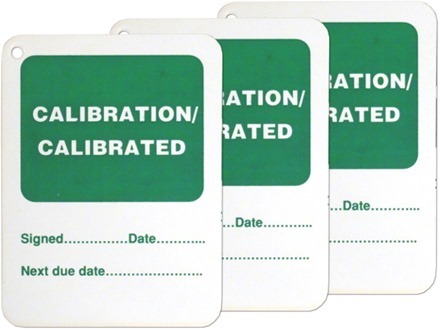 Part of our quality assurance and calibration tag range. Supplied in packs of 10. Calibration, calibrated tags. Write on surface, for inspection details. 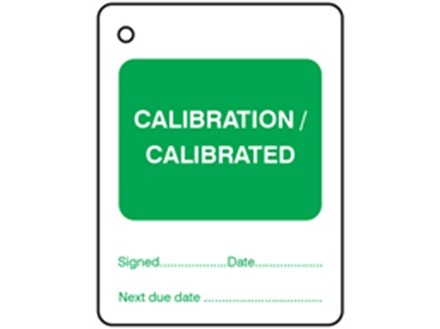 Suitable for attaching to instruments, equipment, tools and gauges, within ISO 9001 accredited and other quality systems, to indicate calibration status. Supplied in packs of 10 tags.